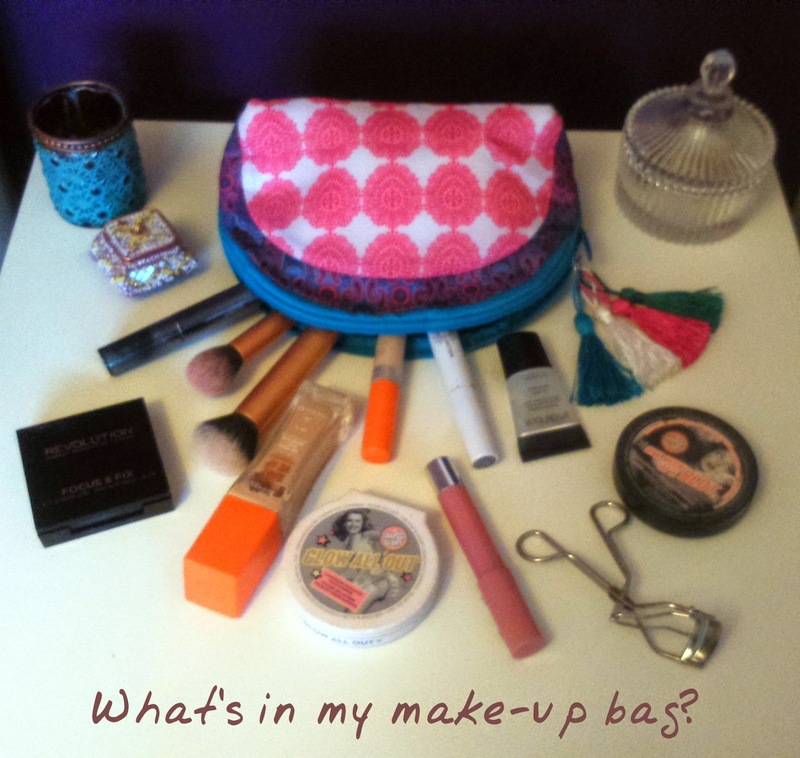 Home Unlabelled What's In My Make-up Bag? 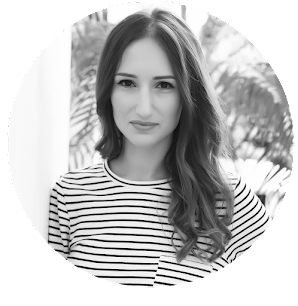 I realised today that I've never done one of these posts, even though they're a must for any beauty blogger! This is the make-up I wear on a day-to-day basis. I hope you enjoy! Rosanna and I both bought this primer from a discount beauty shop at Bicester Village. It definitely lives up to the hype and is the best primer I've used by far. The texture is just SO silky and it really does hold make-up in place very well. I really like powder, I know these days that a lot of people don't bother with it but personally I just don't feel my make-up is on until I've used powder! I can get quite shiny skin on my nose and t-zone and usually apply powder a couple of times throughout the day. This translucent powder is great because as there's no colour, you don't get a cakey build up when you reapply it. It's got a mirror too, so is handy for when you're on the go. Eyelash curlers are another thing that I know not everyone uses but personally, I never apply mascara without using them first. My eyelashes are fan shaped (they get much longer as they spread out) which I love, but it does mean they can sort of mush together! I like to separate and curl them so I don't get clumpy, stuck-together lashes, and they look better and last longer after curling too. I have sensitive skin which means I can't really experiment with my make-up too much for fear of having a bad reaction. My eyes are particularly sensitive and so I am particularly cautious with the products I use on them. I really love this Natural Collection mascara, it's very simple, doesn't irritate my eyes and it's actually a really good mascara. The main drawback is that it tends to clump-up after just a few weeks but you're supposed to change your mascara often anyway and with this one costing just £1.99, it's really not a problem! I am really pretty pale so find that nearly all blushers and bronzers just look ridiculous on my skin, especially during the winter. I like this product as it's very subtle, it's like a blusher mixed with a highlighter. I use it on the apples of my cheeks, my cheekbones, under my brows, and sweep a little across my forehead (working out from the brows) and down my chin. It highlights my face and gives some colour without leaving me looking like a clown. I think this Rimmel foundation is just as good as many of the more expensive ones on the market. It's really lightweight but still gives good coverage and it has the slightest hint of glitter in it to really wake-up your skin. When I first started using it so many people commented on how healthy I looked! The concealer accompanies it really well and also gives good coverage. I bought the core collection after reading so many reviews about how good it was and I have to say I agree...but only 50%. I absolutely love these two brushes but didn't think much of the other two. It was still worth it though as I now couldn't live without these two. I use the Buffing Brush to apply my powder (it blends it so much better than a powder puff) and the Contour Brush to apply my Soap & Glory Glow All Out. Rosanna recommended this to me ages ago but I've only just got round to buying and using it in the last couple of weeks. Before now, I've always filled in my eyebrows with a pencil and although I could get the right shape, I was never happy with the look. I felt my brows looked too fake and too 'full-on'. 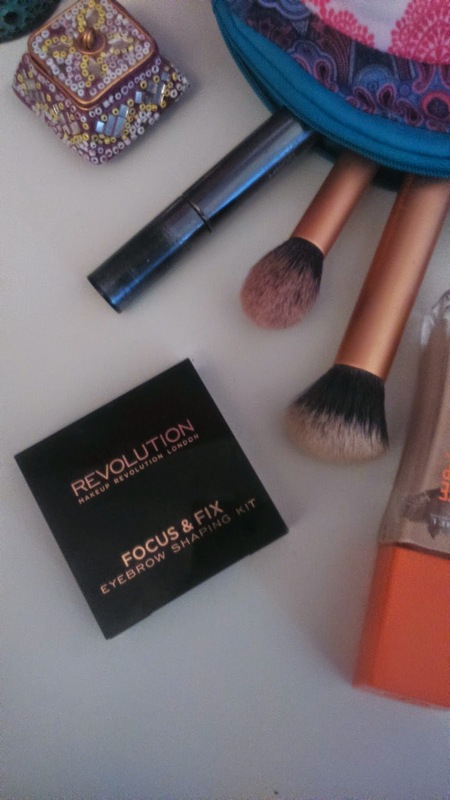 I'm really pleased with this Makeup Revolution set (not least because it's only £2.50! ), it gives a really nice, natural finish and I like the fact you can mix three colours to get your shade just right. 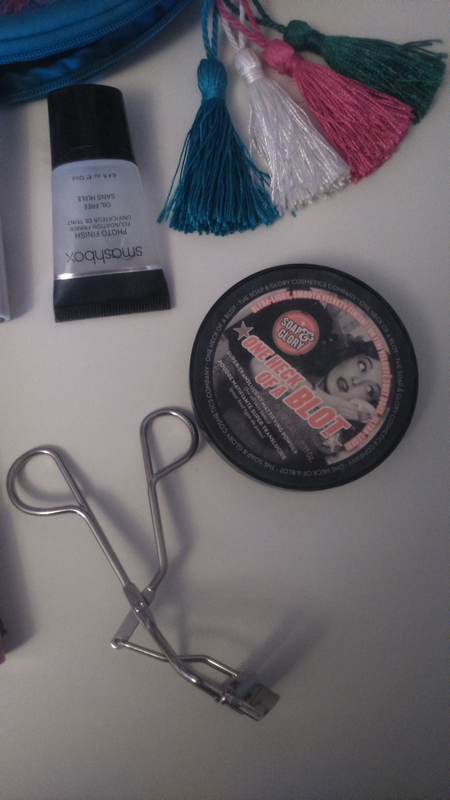 It comes with a mini brush which is a really good shape and makes it easy to apply. It's a little fiddly though because its so small, so I also ordered the full sized version of the brush too. The Makeup Revolution eyebrow set does come with a gel but I've found it too clumpy so I'm still using my trusty GOSH one. You apply this like a mascara so it's really easy to do and it keeps your brows in check without making them crispy or sticky. Great post! I agree with you and have a lot of the same products in my Make-Up bag as well.